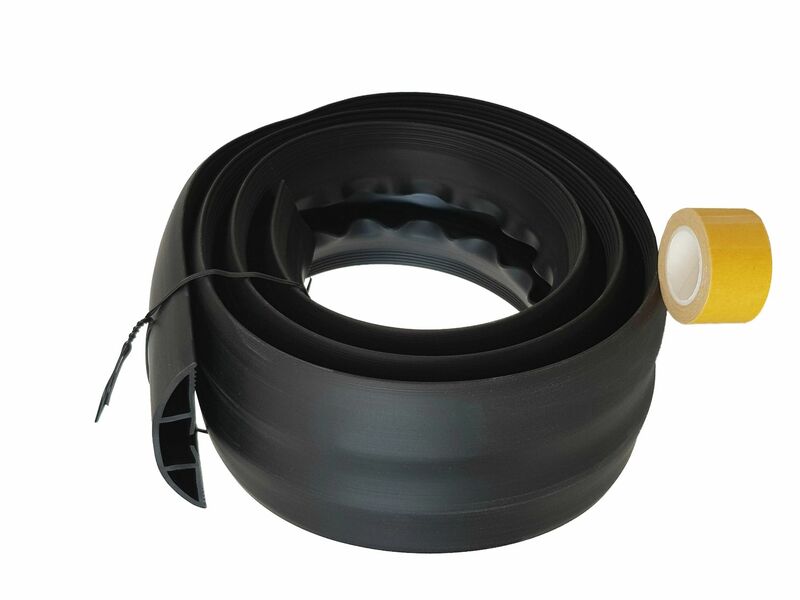 A semicircular wire duct made of flexible PVC. Self-adhesive tape will be supplied separately. 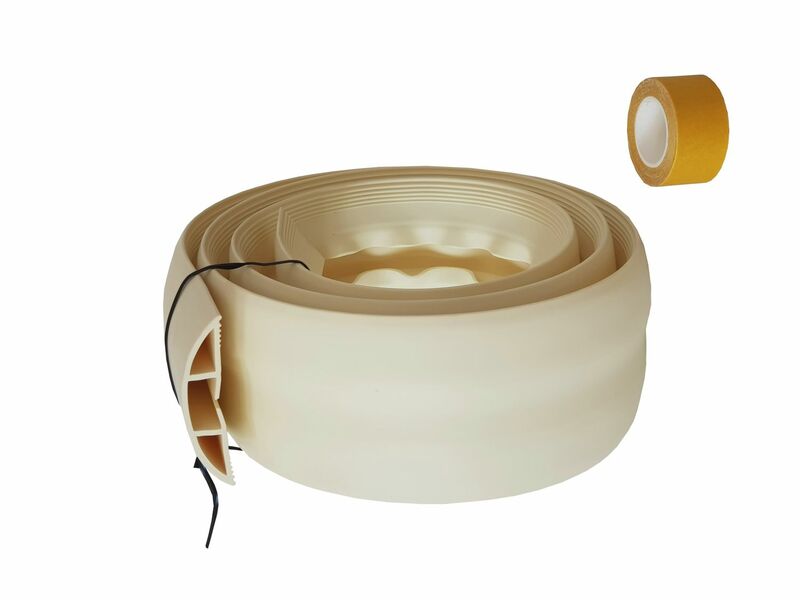 Wherever cables and wires have to be applied subsequently, this wiring duct gives more security! All cables, e.g. telephone and EDP cables, will be neatly run, arranged and saved from any harm. This wire duct can be shortened at will. Tip for Installation: If you lightly warm the wire duct in the baking oven, it can be easily shaped into the desired form. The surface should be smooth, dry and free of dust. If possible, please use cleaning benzine!! Contact pressure is more important than duration of pressure. The adherence should only be burdened after two hours. Applying the part below +10°C and above +30°C reduces the force of adhesion. caused by different incidence of light, brillance of the monitor, contrast adjustments etc. 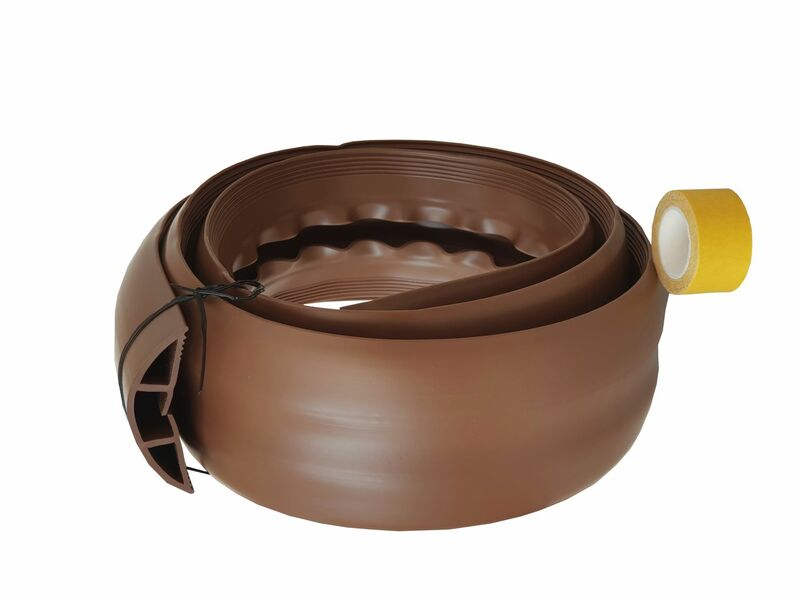 A semicircular wire duct made of flexible PVC. Self-adhesive tape will be supplied separately. 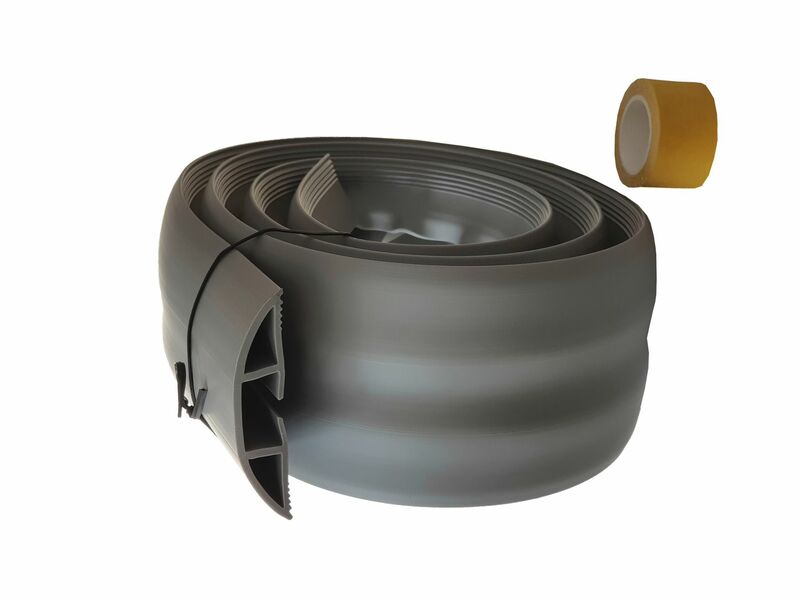 Wherever cables and wires have to be applied subsequently, this wiring duct gives more security! All cables, e.g. telephone and EDP cables, will be neatly run, arranged and saved from any harm.